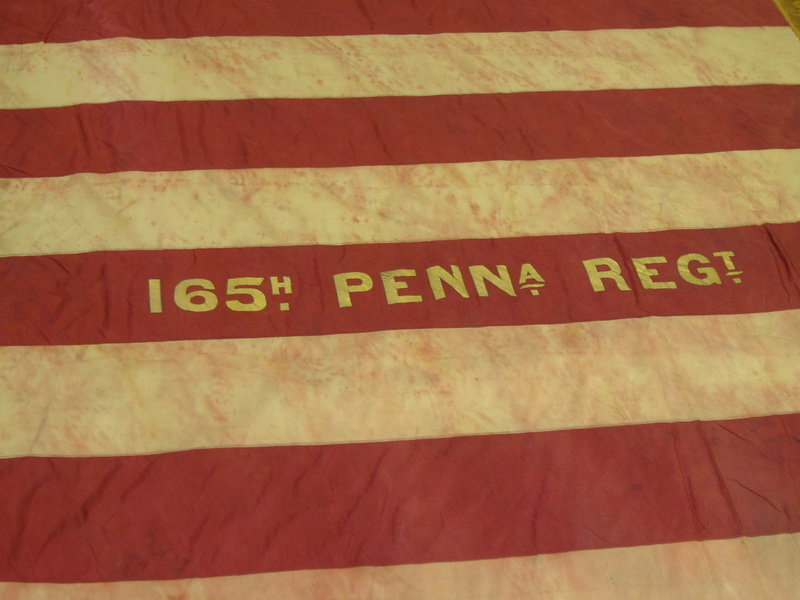 Title: Photo, Flag; 165th Infantry, Pennsylvania Regimental Battle Flag. Most of the men from in and around Bonneauville who fought in the Civil War belonged to Company G, 165th Regiment, PA Volunteers (1862-1863). The Bonneauville Boys took part in the following operations and engagements: Suffolk, White House, Carsville, Beaver Dam, and Jamestown Road in Virginia. They served under Capt. Jacob Miller who was a carpenter, undertaker, furniture maker and farmer in Bonneauville after the war. 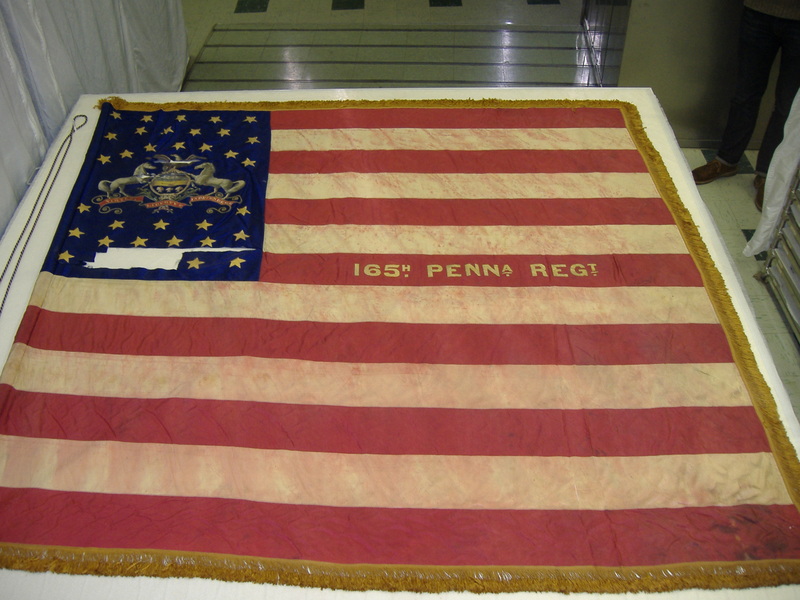 Remarkably, the original 165th Flag in this photograph still exists and is currently preserved in the Capital Preservation Committee Collection in Harrisburg, PA. Under these PA State Colors, the Bonneauville Boys served in President Lincoln's 1862-1863 drafted militia. 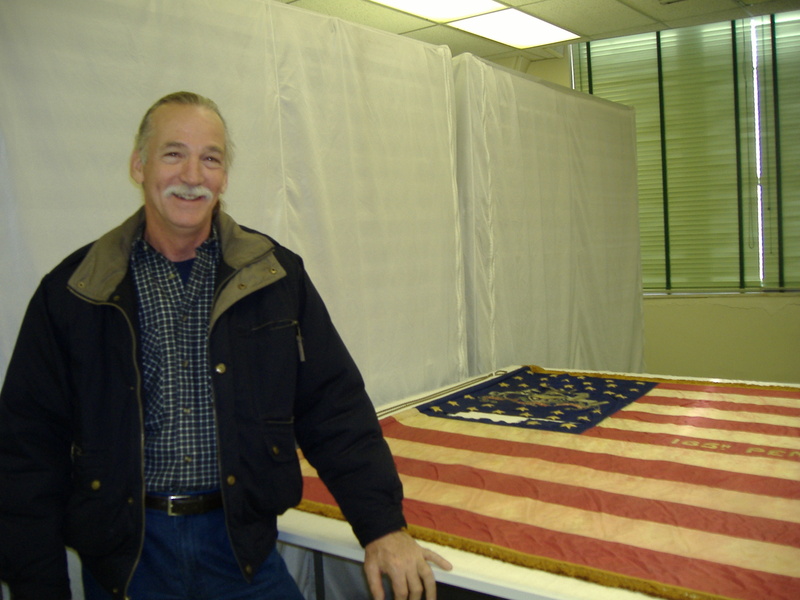 The flag was manufactured by Horstman Co. of Philadelphia per a Dec. 9, 1862 order. 18" x 22" framed photograph.